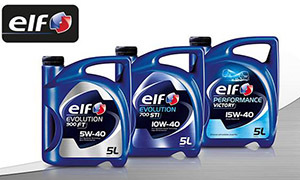 Elf lubricants owe their identification with excellence, performance, records and countless victories in part to their history, the story of a brand created 50 years ago. A year after the brand’s launch in 1967, the motorsports saga began with the Matra-Elf team, which won a French Formula 3 Championship title with Henri Pescarolo. The record-setting machine was off to the races. In 1969, Jackie Stewart took the first of his three Formula 1 world championship titles at the wheel of the Matra MS80, with the Elf logo prominently displayed. Begun in 1968, the special partnership with Renault helped Elf take home 18 Formula 1 drivers’ and constructors’ world championship titles and grew beyond racing through a major marketing agreement to recommend Elf lubricants for Renault vehicles. Other major partnerships have been formed since, with constructors including Kawasaki, Alpine and recently the reborn, legendary British motorcycle brand Brough Superior. With 50 years of experience to its credit, the Elf brand remains an elite motorsports competitor, as shown by its recent titles with Alpine in the LMP2 FIA World Endurance Championship and with the Kawasaki Racing Team in the 2016 Superbike World Championship. Fifty years of passion, technology and performance have brought Elf lubricants to 94 countries, through 230 products that cover three specific market segments: cars, motorcycles and trucks. 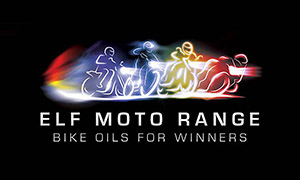 An iconic brand, Elf markets engine oils designed by enthusiasts for enthusiasts. In a sign of its commitment, the brand offers two lines of lubricants designed specifically for competition with HTX Racing and for collector cars with HTX Classic Cars. Synonymous with excellence, the Elf brand stands out in its use of technologies developed and tested under extreme conditions, products that have proven their value in racing and specific solutions for collector cars, to offer motorists an unmatched driving experience. 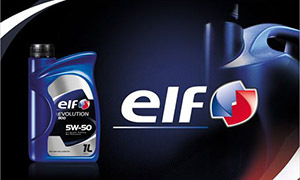 In 2001, Elf became a brand of Total, which is now the world’s fourth-largest lubricants distributor.